A few weeks ago I posted a picture on Instagram of one of my favorite dishes…Pizza Pasta. And a few people asked for the recipe, which made me laugh. Even though I love cooking (and eating) I rarely follow any recipe to a tee. But that’s one of the reasons I love the Pizza Pasta so much, it can be altered to suit your particular taste. Not to mention this dish is super easy to make. So since my guys love pizza and I’m all about keeping things simple, Pizza Pasta will forever be a part of my menu rotation. Browned ground beef and then seasoned it to taste. Added pasta sauce and diced tomatoes, then let simmer. 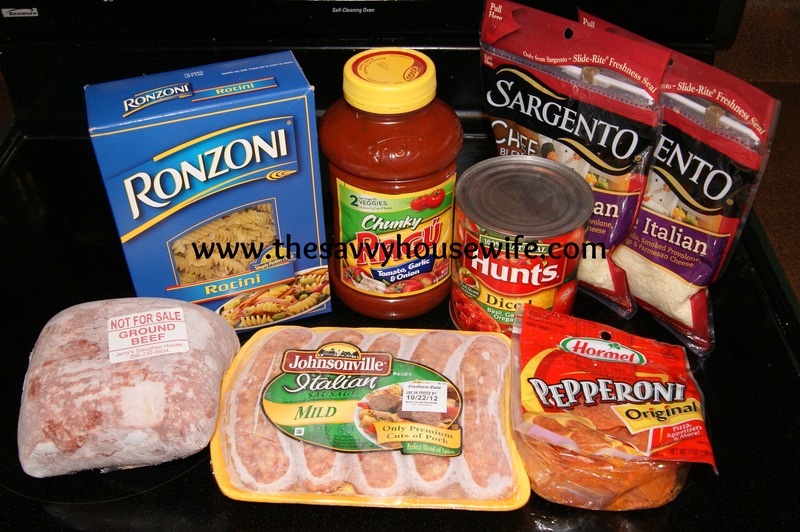 Cook Italian sausage, slice and add to meat sauce. Pre-heat oven to 350. Spoon a small amount of the liquid from the meat sauce to coat the bottom of your baking dish. 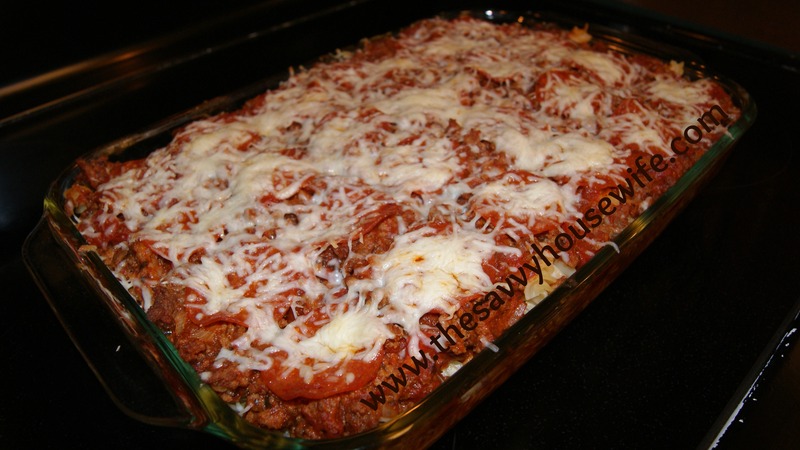 Then layer ingredients starting with the cooked paste, meat sauce, pepperoni and last cheese. Continue until baking dish is full. 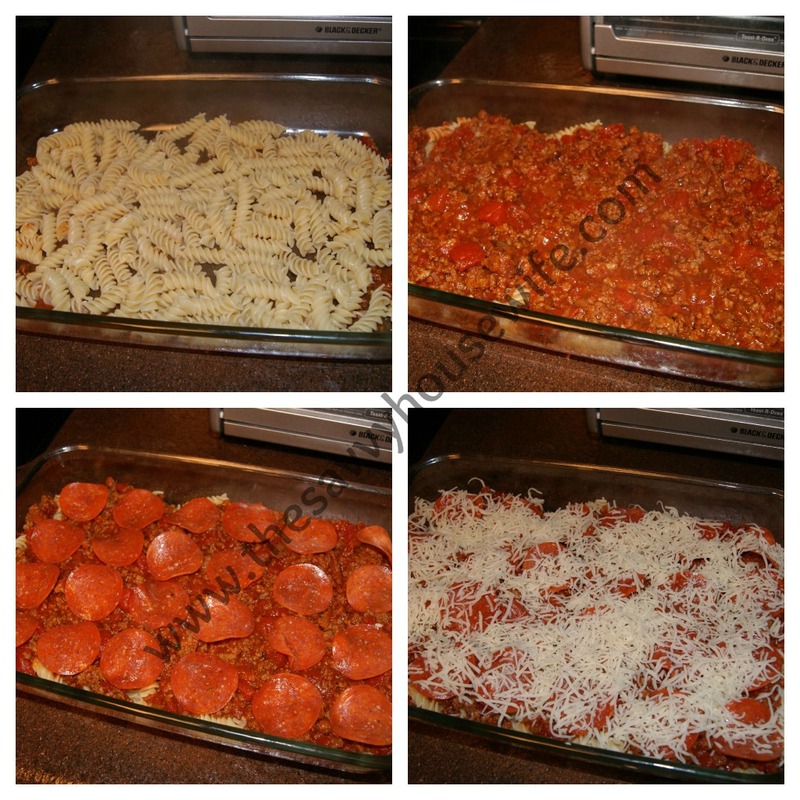 Place the Pizza Pasta in the oven for 15 minutes or until cheese is melted. Like I said this dish is soooo easy to make. 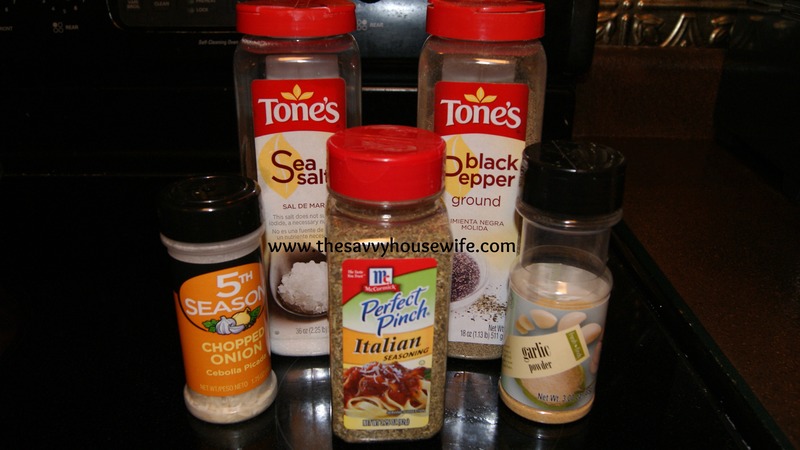 This was my first time adding Italian Sausage and sometimes I like to add fresh veggies if I have them on hand. There are so many things you can do with this dish. It’s quick, easy, kid-friendly and delicious! What do you plan on adding to your Pizza Pasta? This entry was posted in Savvy Eats and tagged dinner, Easy Recipes, Pasta, Pizza Pasta, Quick Meals on November 28, 2012 by Roni the Savvy Housewife. I saw a similar recipe on Pinterest that I wanted to try. I think this will be on the menu. My 1 year old son LOVES pizza and this would be a nice substitute. Thanks for sharing. Yay! I hope your little one enjoys it! I CAN’T COOK, but this looks like something I can do. It’s just in time. I’ll try to impress my father-in-law with dish. Thanks! I made this before and my family LOVED it! You make me want to try it again…looking at yours!